Times are changing in North Korea. Time to lift the economic sanctions and get back to normality. Probably from China, repacked and relabelled. If you look closely the 'technicians' arent doing anything. Ah, LOL, I heard about this today on BBC radio. 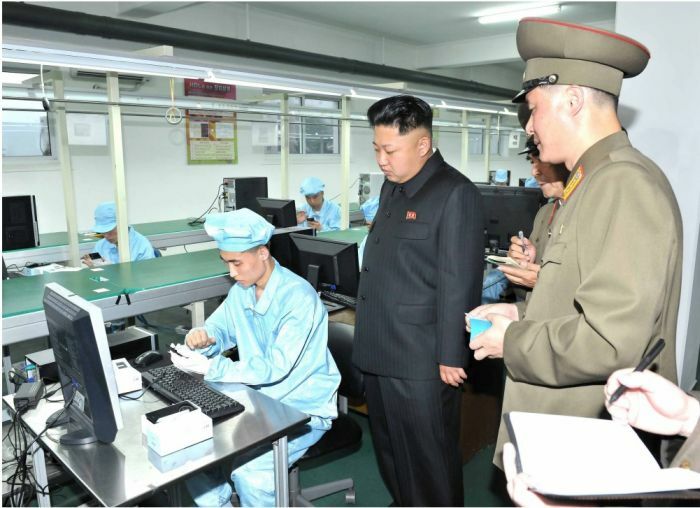 Paullex is probably correct because N Korea's electronics industry isn't really good enough for this level of sophistication. 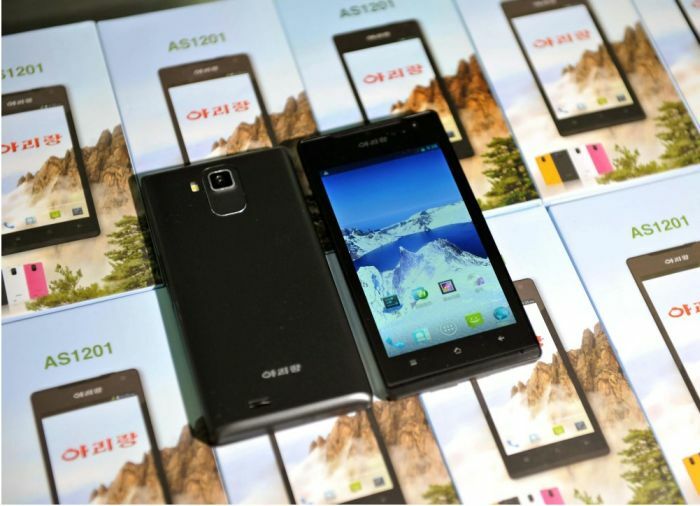 Essentially you can only phone within N Korea, send images to each other (within N Korea) and browse government sites like N Korean universities and such. UNTIL....JAILBREAK time! There isn't nothing in this "factory". No line production, no machine... They only buy it from china, like Paullex says. Now all they need is cell phone towers. First pic: Kim Dzon Un: "Is this a cake?" 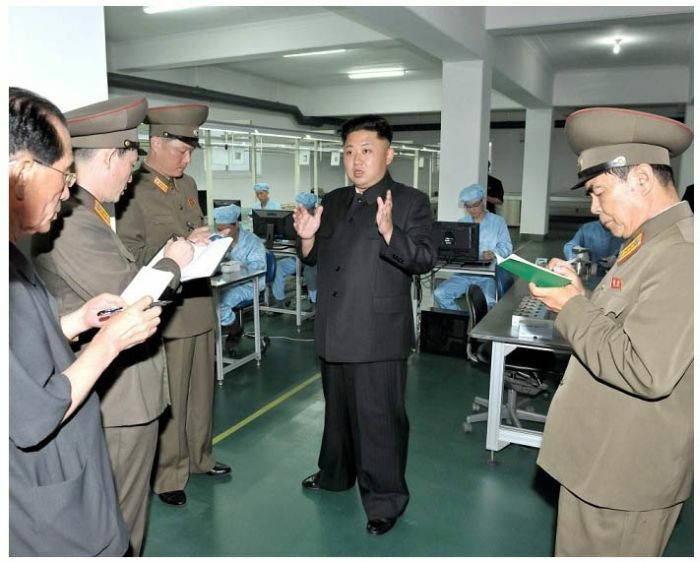 2nd: Kim Dzon Un: "Note carefully: I want my cake this big". 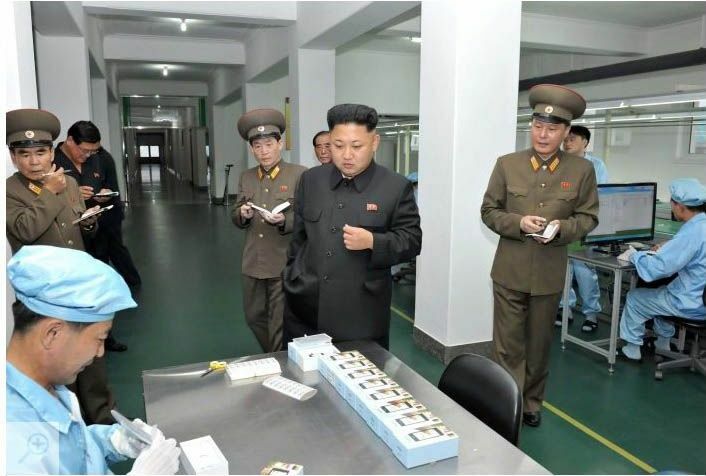 4th: Kim Dzon Un: "Top of this cake should have more frosting". 5th: Kim again: "You better watch out what you do to my cake. Unless you want spend winter in a correction camp". 6th: Kim again again: "General, this cake pleases me. You army people, make the best cakes in a world. I'm gonna have another bite". How come I didnt notice? They are all using Dell PCs! 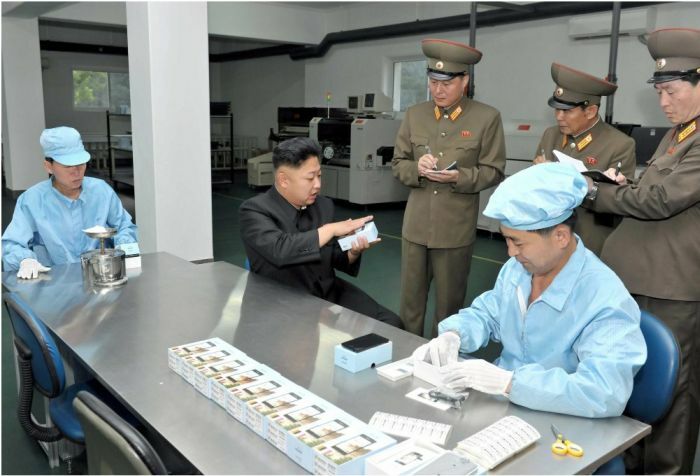 I'm not claiming they are producing the phones, but wouldn't you think those people might be testing them? Same man or twins??? 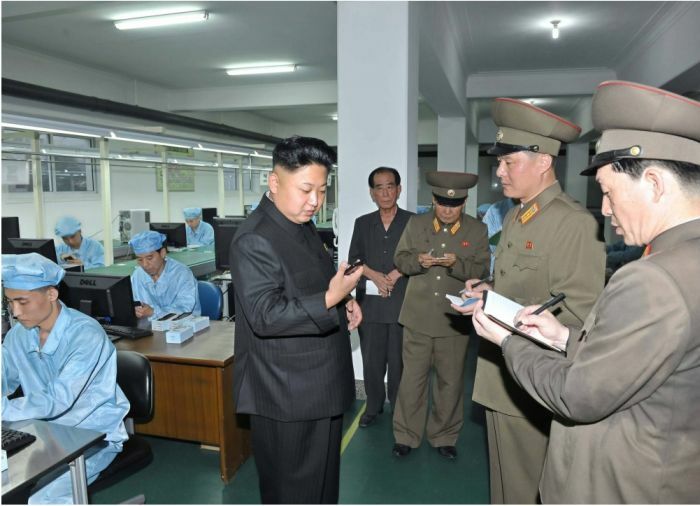 Who knows look's like same factory with new interion..
WTF KIm's Generals always taking notes...stupids!